What follows are the books, rhymes, songs, and flannel boards we shared. 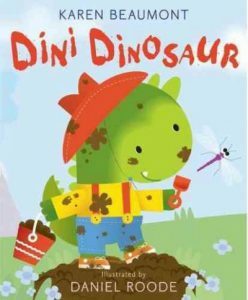 Dini Dinosaur by Daniel Roode is a book about a dinosaur who has to learn the ins and outs of taking a bath! The easy part is playing and getting dirty. The hard part is jumping into the bath too soon! 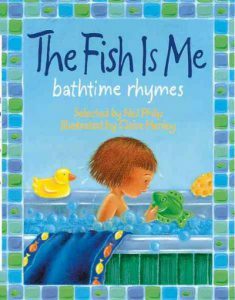 You see Dini forgets to take off his shoes, clothes and hat before he dives in to “scrub-a-dub-dub.” This picture book is cumulative, funny and sweet – a great way to talk about bathtime with your toddler. 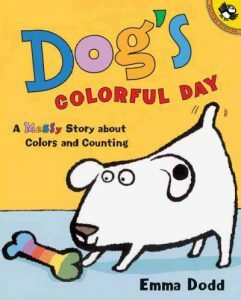 Emma Dodd’s picture book, Dog’s Colorful Day is a great concept book about colors and counting that ends in a bath for Dog. 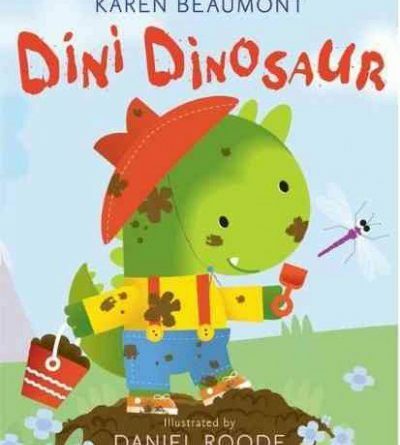 The book recounts Dog’s adventures in getting dirty. 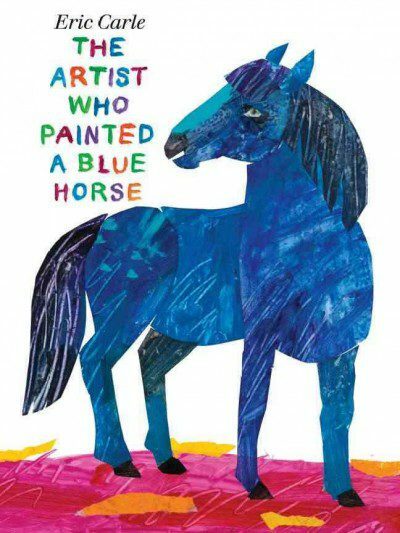 He starts off with one black spot on his left ear but manages to gather a green grass stain, a squirt of orange juice, a purple marker smudge, a blue paint splotch and more! At the end of the day Dog has a total of 10 spots and desperately needs a bath!! 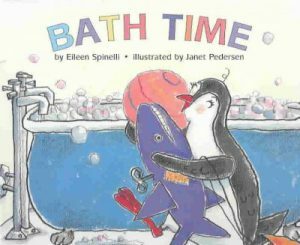 The bold visuals, the build up of spots and the familiar bathtime ritual at the end make this a mesmerizing book for toddlers. *See the accompanying flannel board activity below. 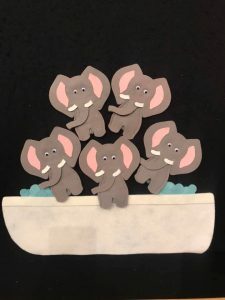 Two elephants in the bathtub…etc. 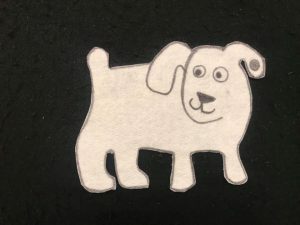 This flannel accompanied the reading of the book – Dog’s Colorful Day by Emma Dodd (see above). 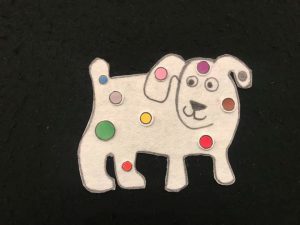 After collecting all of those “COLORFUL” spots you can see why Dog needed to take a BATH! 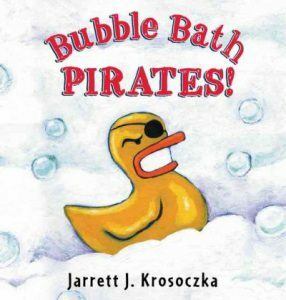 Here is a Bubbles Song you can sing at home while blowing (and popping) bubbles with your toddler! It also involves a little counting. 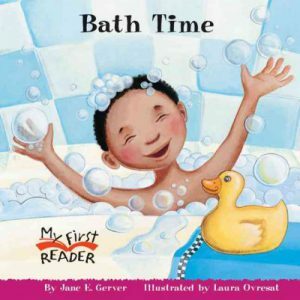 If you want to read more books about bathtime, make sure to check these out from your local Pasadena Public Library! 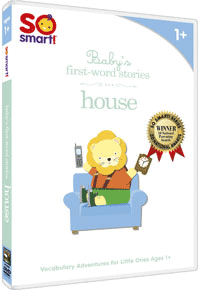 Infant & Toddler Storytime: Cats! 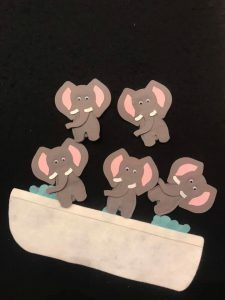 Infant & Toddler Time – Colors!